All familiar names and no surprises among the 10 players the Detroit Lions named to the practice squad Sunday. All 10 had been cut as the Lions got to 53 men on Saturday and had to clear waivers. The 10 are: G Rodney Austin, FB Emil Igwenagu, S Nate Ness, WR Andrew Peacock, DT Xavier Proctor, CB Mohammed Seisay, LB Julian Stanford, TE Jordan Thompson, T Michael Williams and RB George Winn. Austin was in a battle with Travis Swanson at the guard/center position. Austin, who was undrafted out of Elon, was on the practice squad in 2013 until he was signed to the active roster in late November. Winn had a particularly good camp and was a standout in preseason games. He was undrafted in 2013 and played on practice squads of five NFL teams. Should Joique Bell get injured, Winn could step in as the power back. Michael Williams, who is making the transition from tight end to tackle, was in a battle with Cornelius Lucas for a roster spot. Williams has made good strides since the change in the offseason, but a season on the practice squad will benefit him. The Lions didn’t bring back cornerback Chris Greenwood who was eligible for the practice squad. Practice squad players make a minimum of $6,300 per week for 17 weeks — $107,100. Kellen Moore is huge in Idaho. Probably it has something to do with the quarterback’s 50-3 record at Boise State as a starter from 2008-2011. So you can imagine a good part of Idaho, heaved a sigh of relief on Saturday when the Detroit Lions kept three quarterbacks on the 53-man roster including Moore. It was not a given that Moore would remain on the roster. While coach Jim Caldwell has kept three quarterbacks in the past, there were so many questions at different positions that there was no absolute answer. Caldwell had said it would depend on numbers at other positions. But the way Moore played in the four preseason games would have made it very difficult to cut him. Moore out-performed Dan Orlovsky in the preseason. Yet Moore has never taken a snap in a regular season NFL game. Orlovsky is entering his 10th season. Moore, a coach’s kid, seems to have a good grasp of the new offense. It would have been interesting — especially in the final preseason game — to see going against a starting defense. He doesn’t have the arm of Matthew Stafford, but not many do. Stafford has said Moore is as cool as a cucumber and always knows where to go with the ball. He wasn’t the product of a system at Boise State like, for instance, Johnny Manziel at Texas A&M. Moore was the real deal for the Broncos. Yet, he went undrafted in 2012. The Lions signed him as a free agent immediately after that draft. It will be interesting to see if he stays as the No. 3 quarterback or whether he’s active in the regular season opener as the No. 2. Lions’ fans have started to see what Boise State fans have known for years. 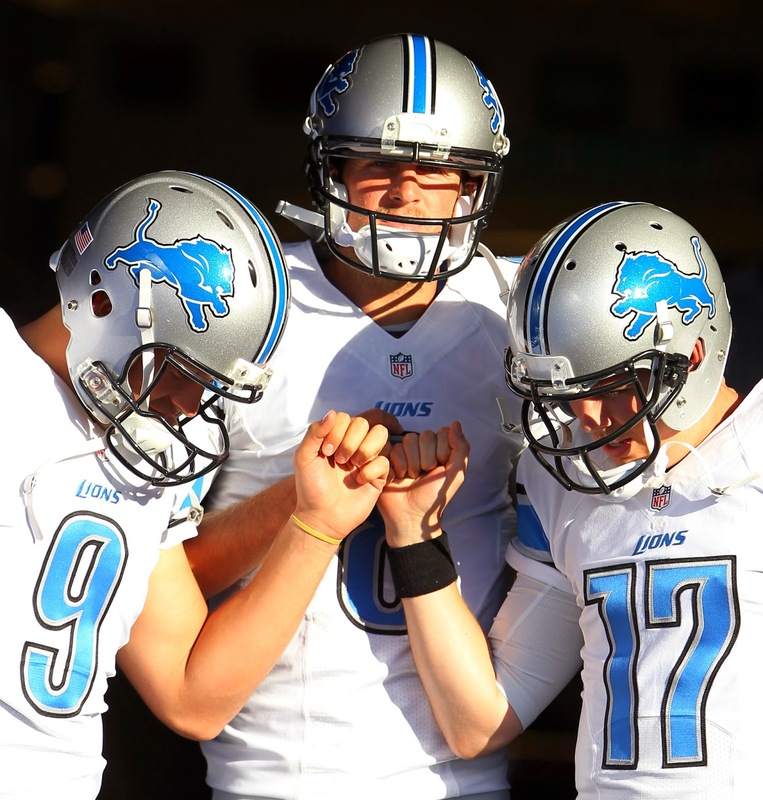 Quarterbacks (3) — Matthew Stafford, Dan Orlovsky, Kellen Moore. Wide receivers (6) — Calvin Johnson, Golden Tate, Jeremy Ross, Ryan Broyles, Kevin Ogletree, Corey Fuller. Tight ends (3) — Brandon Pettigrew, Joe Fauria, Eric Ebron. Offensive line (8) — Riley Reiff, Rob Sims, Dominic Raiola, Larry Warford, Corey Hilliard, LaAdrian Waddle, Travis Swanson, Cornelius Lucas. Defensive ends (5) — Ziggy Ansah, Jason Jones, George Johnson, Devin Taylor, Larry Webster. Defensive tackles (4) — Ndmaukong Suh, Nick Fairley, C.J. Mosley, Caraun Reid. 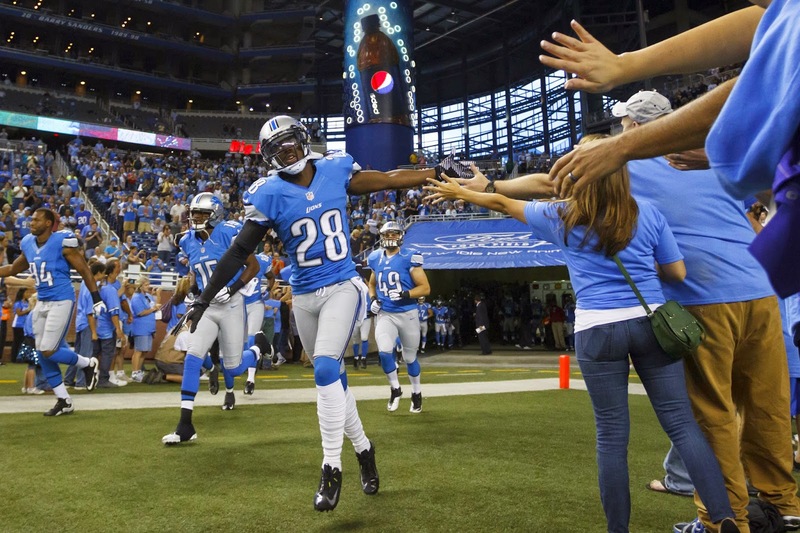 Safeties (5) — Glover Quin, James Ihedigbo, Don Carey, Isa Abdul-Quddus, Jerome Couplin. Running backs: Mikel Leshoure, George Winn, Emil Igwenagu. Wide receivers: Kris Durham, Andrew Peacock, Patrick Edwards. Tight ends: Michael Egnew, Jordan Thompson. Lions GM Martin Mayhew, a former NFL cornerback, sent out a warning this spring to the three cornerbacks he drafted in 2012. He said if a corner doesn’t “get it” by his third season he never will. Of those three — Bill Bentley, Chris Greenwood and Jonte Green — only Bentley remains on the roster. Green was released earlier in the week, while Greenwood was cut today (Saturday) as the Lions work their way to getting to 53 men by 4 p.m.
Greenwood, who played at Albion, missed his rookie season after sustaining an abdominal injury during OTAs. He started last season on the practice squad before seeing action in three games late in the season. Green played in nine games in 2013 with a pair of starts after playing in 15 games as a rookie. Bentley seemed to have found a home as the nickel last season when he played in 13 games with five starts. Final roster cuts are due at 4 p.m. So far rookie cornerback, undrafted out of William & Mary, is still on the roster. Mohammed Seisay has been cut, but he’s a possibility for the practice squad. 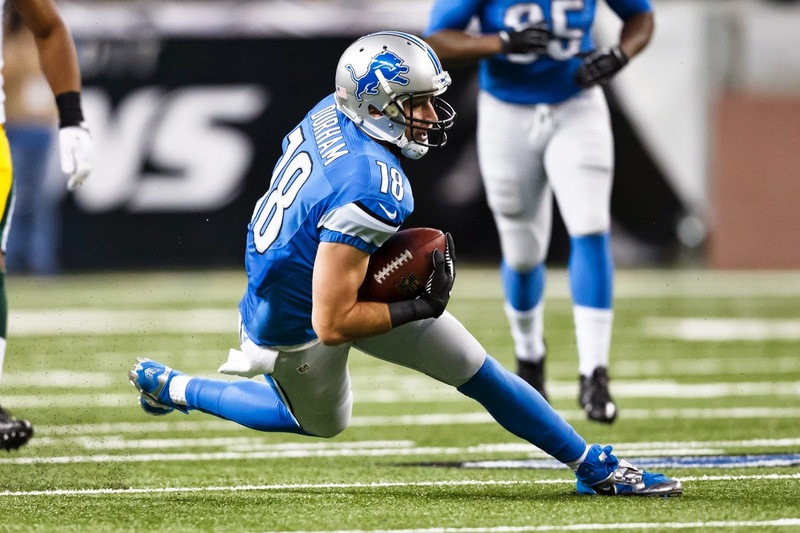 The Lions have parted ways with wide receiver Kris Durham, who played with Matthew Stafford at Georgia. It was first reported by Free Press’ Dave Birkett. Durham, who is 6-6, was the No. 2 wide receiver in 2013 and had the second-most receptions behind Calvin Johnson. He, Stafford and Johnson — who all have offseason homes in Atlanta — worked out together in the offseason at Georgia Tech or “enemy territory” as Durham called it. Even though Stafford is a close friend, Durham said when it came to football he was direct, no special favors. There was quite a battle at wide receiver for a roster spot with Durham definitely in the mix with Kevin Ogletree, Ryan Broyles and Corey Fuller. Also released today were running backs Mikel Leshoure and George Winn, along with offensive lineman Garrett Reynolds, defensive end Darryl Tapp, cornerback Mohammed Seisay, linebacker Shamari Benton (Central Michigan, Brother Rice) and linebacker Brandon Hepburn. The deadline to get the roster to 53 men is 4 p.m. today. 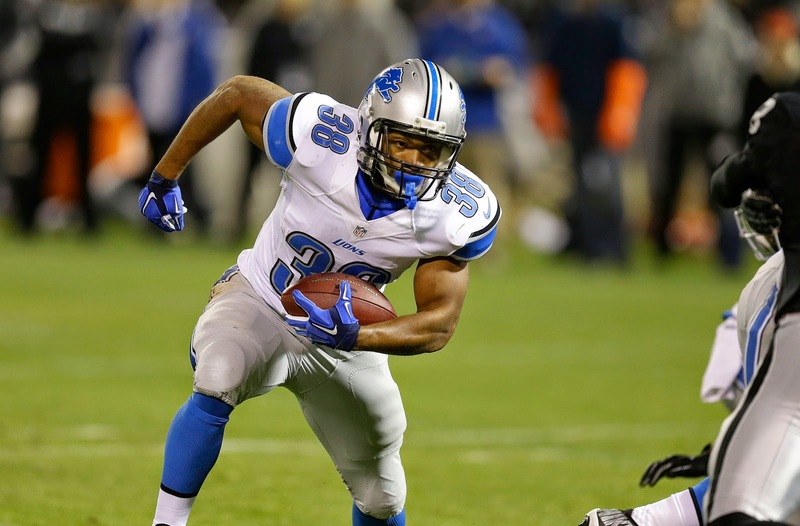 Detroit Lions running back Mikel Leshoure was waived today, according to multiple reports. Leshoure was given plenty of chances in training camp and the preseason, but obviously it didn't work. That leaves only Nick Fairley still on the roster from the 2011 Lions’ draft. They used to say it takes five years to adequately judge a team’s draft class, but I think we can jump the gun on this one. Miserable, lousy, disastrous — pick one. — Fairley was the 13th overall pick. He has not lived up to that designation. He’s just been too inconsistent. So much so that the Lions did not pick up his option for the 2015 season. He was demoted to second string in the preseason and is not a lock to start on Sept. 8. — Titus Young was the second-round pick (44th overall). The Lions must have thought he was over issues that had gotten him suspended at Boise State and in high school. He was released in February 2013. Young has been arrested multiple times in California. — Leshoure was the 57th overall pick in the second round. His first offseason was disastrous (I realize I’m using that word often) with two marijuana-related arrests that led to a two-game suspension. He missed his rookie season with an Achilles injury. — Linebacker Doug Hogue was taken in the fifth round. He played special teams as a rookie and was released mid-season in 2012. — Johnny Culbreath, an offensive tackle, was drafted in the seventh round. He spent his rookie season on injured reserve and then had a marijuana-related arrest. He was cut before training camp in 2012. 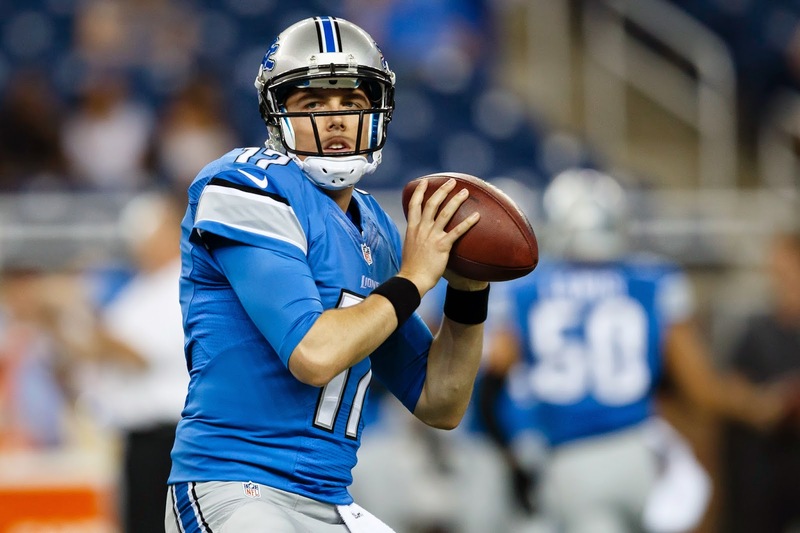 Even though Kellen Moore outplayed Dan Orlovsky in the preseason, it’s likely Moore will remain behind Orlovsky on the Detroit Lions quarterback depth chart — if the Lions keep three quarterbacks. Caldwell has kept three in the past, but has not committed to that for this season. He has said it will depend on the numbers at other positions. It will be one of the more interesting decisions to watch when the 53-man roster is due at 4 p.m. on Saturday. If they don’t keep three quarterbacks, the practice squad is a possibility for Moore. Moore had another good game in the 23-0 win over Buffalo on Thursday night. He completed 17 of 28 passes for 172 yards, with a pair of touchdowns and no interceptions. He completed 68.6 percent of his passes in the preseason, never threw an interception and finished with a passer rating of 108.4. Moore is set to make $570,000 this season. If he goes to the practice squad it would be considerably less. Practice squad pays a minimum of $6,300 a week for 17 weeks ($107,100). Moore, who was signed as an undrafted free agent out of Boise State in 2012, has never taken a snap in an NFL regular season game. Orlovsky, who has a one-year $920,000 deal, was signed after Shaun Hill went to the Rams. Orlovsky has the experience that Moore lacks. He and Jim Caldwell worked together in 2011 with the Indianapolis Colts, the season that Peyton Manning didn’t play. The Colts went 2-14 that season and the only two wins came in December with Orlovsky starting. That’s why Caldwell likes him more than Lions’ fans do. Rookie linebacker Kyle Van Noy underwent a surgical procedure to repair a core muscle injury on Thursday morning in Philadelphia. 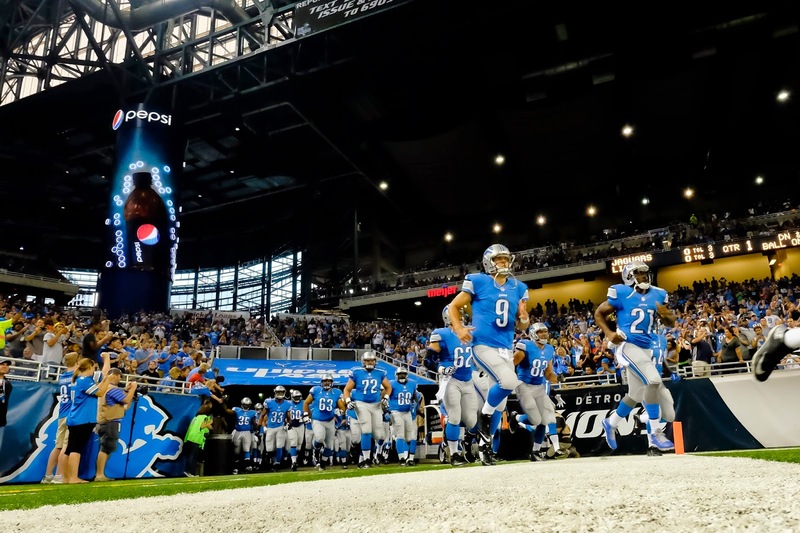 The Detroit Lions made the announcement prior to the preseason game at Buffalo. The team released this statement: "Kyle Van Noy underwent a successful surgical procedure today due to a core muscle injury. We will continue to monitor Kyle's progress and provide updates when appropriate." Van Noy was held out of the third preseason game after feeling a pain in his abdomen the day before. No word on how long he will miss. It’s likely that Tahir Whitehead will start at strongside linebacker. He’s starting his second straight preseason game after a solid effort with three sacks against the Jaguars last week. The Lions face a 4 p.m. deadline on Saturday to get the roster to 53. They could make a decision by then whether Van Noy has a chance to return this season, whether they’ll put him on short-term injured reserve or shut him down for the season. Van Noy said last week until now he’s never missed a game due to injury. Jim Caldwell has not shared his plan for Thursday night’s final preseason game. He has said it won’t be a blanket deal — like you won’t see the whole starting offense or defense on the field for a certain amount of time. The Lions will play the Bills in Buffalo. Kickoff is 7 p.m. and the game is televised on WXYZ-TV in metro Detroit. 1. Corey Fuller is still on the bubble. The second-year wide receiver has one reception in each of the first three games. That came on a 21-yarder in the preseason opener for a touchdown. Caldwell said this week that Fuller has “tremendous upside.” No doubt about that. Trouble is only so many spots are open and it appears Kris Durham and Ryan Broyles have the edge over Fuller who go back to the practice squad. 3. George Winn has been impressive through training camp and the preseason. He has 21 carries for 61 yards (29 yards per carry) and a pair of touchdowns. Winn, who has undrafted in 2013, has spent time on practice squads for five NFL teams, most recently Dallas. In the preseason he has spent more time on special teams than Leshoure. Can’t read too much into that, but it could weight in Winn’s favor. 4. Kellen Moore will likely play most of the second half. If Caldwell has made a decision on whether he’ll keep two or three quarterbacks, he hasn’t shared. Moore had a solid effort in the opening preseason game, he could help his chances with a solid effort. 5. Nick Fairley obviously is a lock for the 53-man roster. But if the defensive tackle gets a chance he needs to prove he’s worthy of being a starter once again. — Dominic Raiola’s Hawaiian shirt. Most of the players were dressed business casual and so was Raiola, but the shirt was a stand-out and it was mentioned by Rob Sims when he answered a fan question about best dressed player on the offensive line. He named Raiola, who is from Hawaii, despite the shirt. Sims said Riley Reiff was the offensive lineman with the most need for fashion direction. — Stephen Tulloch was asked which sport he would play if not in NFL. He said he’d be a point guard, a double-double guy. He’s listed as 5-11 which might be generous. 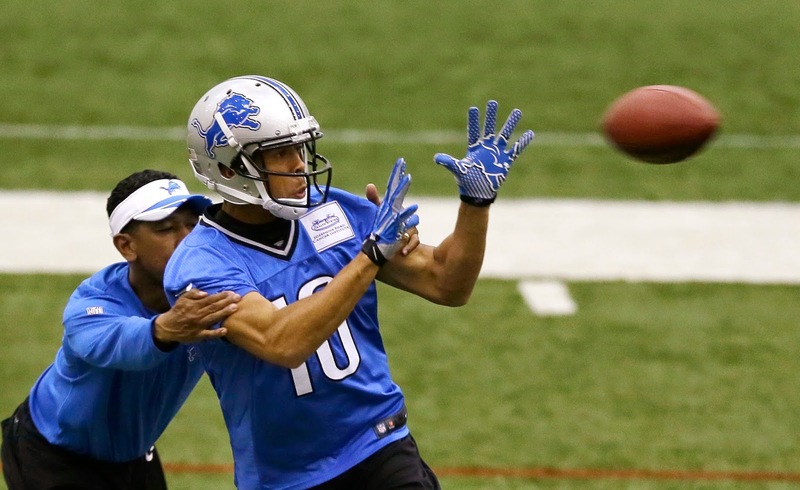 — Golden Tate got so worked up talking about the Lions’ possibilities that he apologized. It’s been very clear all through the offseason that Tate is excited about what he sees on the team. If you missed today's chat on the Lions, check out the transcript here. We spent much time discussing the roster — the final cuts are due at 4 p.m. on Saturday. The Lions play their fourth preseason game — at Buffalo tonight (Thursday). Join me at 3 p.m. next Thursday, Sept. 4 for the next chat. Note the time change. ALLEN PARK — The final roster cuts are due on Saturday and while several Lions are secure, many of them can sympathize with those on the bubble. 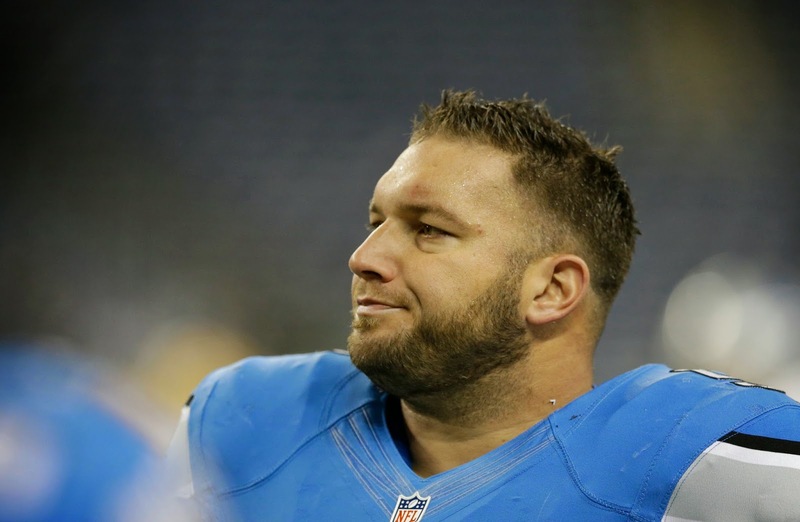 Fourteen years ago, center Dominic Raiola thought he was going to be cut as a rookie. He still thinks about it and plays like his job is on the line daily. “I still do it I play like somebody’s standing over me, looking over me every breath I take. I take it to heart when I (screw) up,’’ Raiola said. Obviously he didn’t get cut as a rookie. He became a starter in his second season and is a dozen games shy of 200 starts. Raiola, a second-round pick out of Nebraska, feels for the players who will get released this week. — Coach Jim Caldwell said he hasn’t determined if Matthew Stafford will play on Thursday at Buffalo in the final preseason game. Caldwell said it won’t be blanket decision on which starters will play and who won’t. — The Lions made it official on the waiver claim of Emil Igwenagu from the Philadelphia Eagles. He played three games for the Eagles in 2012 and none last year. He’s listed as a tight end, but Caldwell called him a fullback. Said they hope to get him some playing time on Thursday night if he can get caught up to speed on the offense. — Safety DeJon Gomes was placed on injured reserve due to a shoulder injury. Caldwell wouldn’t offer more specifics. 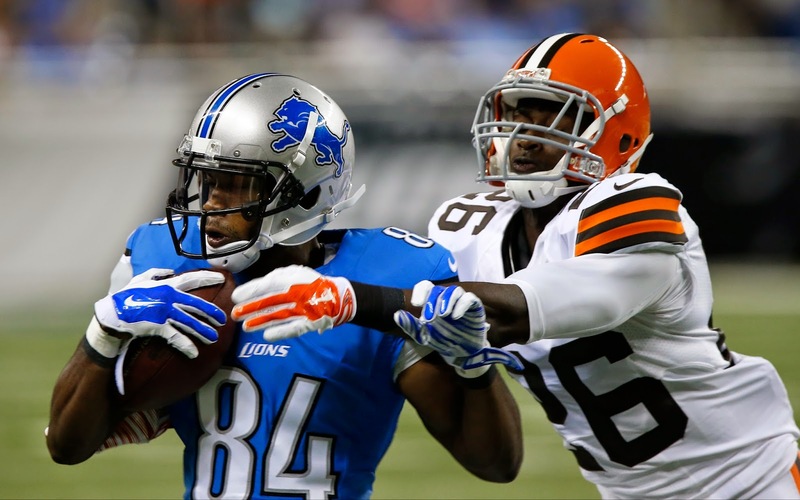 — The Lions also claimed Michael Egnew on waivers (from the Dolphins) on Monday. But that transaction is not official. — Caldwell said no decision has been made on the starting right tackle between Corey Hilliard and LaAdrian Waddle, but he did say he is comfortable with both of them. — Caldwell's best quote Tuesday: "Flattery is like flowers, you can smell 'em but you can't eat 'em." The Lions will have to make some tough roster decisions by Saturday’s deadline to get the roster to 53 men. One of those positions is at wide receiver. 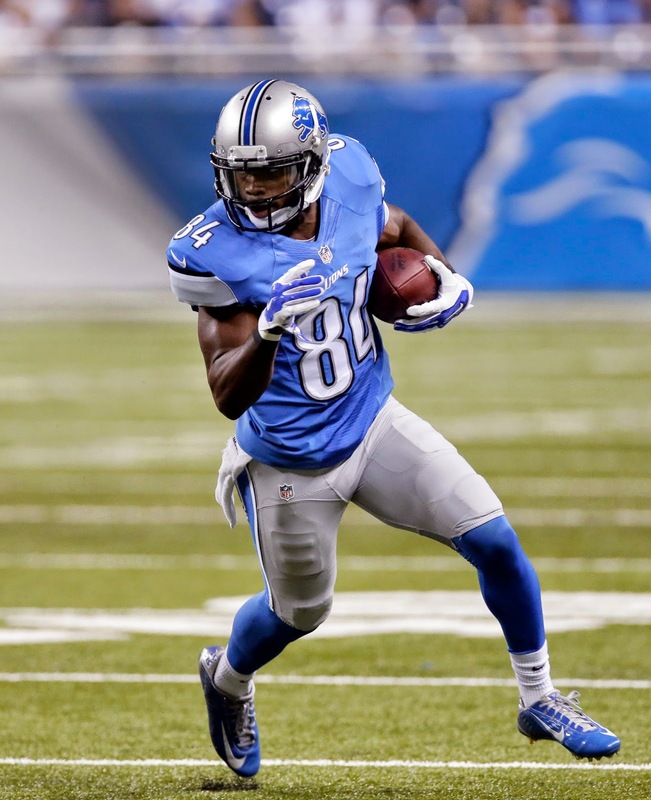 Now that Ryan Broyles is healthy — will he make the team? Coach Jim Caldwell pointed out on Saturday that every catch that Broyles has made in the three preseason games has been for a first down. After Calvin Johnson, Golden Tate and Jeremy Ross (return specialist) there are no clear-cut winners. Kris Durham played with the starters in the first half in the win over the Jaguars on Friday, but he didn’t have a reception. Neither did Kevin Ogletree. Broyles didn’t get in the game until late, but had three catches for 44 yards in the fourth-quarter drive that led to the one-yard touchdown by George Winn. Coach Jim Caldwell said there were a few reasons Broyles didn’t get in until late. “Calvin was in there, that’s one reason. One pretty tall reason, fast reason. And Golden (Tate) on the other side,’’ Caldwell said. “You know, obviously there’s one ball and we can’t get it to everyone. “But, one thing of note about (Broyles) is — every ball that he’s caught he’s got a first down. He’s been active, he’s played well and played tough. So we’ve been pleased with him. But, you know it’s a tough battle out there at that spot. There are a lot of guys doing well. We don’t have easy decisions at that spot,'' Caldwell added. Last year the Lions kept six wide receivers. It seems more likely that they will keep five this year due to the addition of tight end Eric Ebron. Durham has the experience — he made the roster in 2013 — and a comfort level with Matthew Stafford dating back to their college careers at Georgia. Broyles, a second-round pick in 2012, missed most of his first two seasons with serious injuries — a torn ACL in 2012 and a torn Achilles’ last year. “I think you can see that he feels good about where he is physically. I think you can see the results,’’ Caldwell said. “He’s got his explosion. I don’t exactly know what he looked like up close and personal before his injuries, but since the spring you can see that he has spring in his step. “He has an unusual knack of being able to split two defenders with speed and power. His hands are reliable. So, you know he’s doing a nice job,’’ Caldwell said. After Friday night’s win over the Jaguars the Detroit Lions have released six players: G Alex Bullard, G A.J. Dalton, DT Greg Hickman, RB Steven Miller, DE Kris Redding and WR Conner Vernon. The first roster cuts down to 75 are due at 4 p.m., on Tuesday. The Lions also placed rookie wide receiver TJ Jones on reserve/physically unable to perform list meaning he has to miss at least the first six weeks of the season. Jones has missed all of training camp and the preseason while rehabbing a shoulder. 1. Linebacker Tahir Whitehead got the start and made the most of it with three sacks and a team-high 10 tackles. Jim Caldwell said they thought he’d been playing like a top three linebacker so they gave him the opportunity. The fifth-round pick (2012) has played the last two seasons, but mostly on special teams where he has been a standout. He solidified his spot on 53-man roster with his showing Friday night. 2. 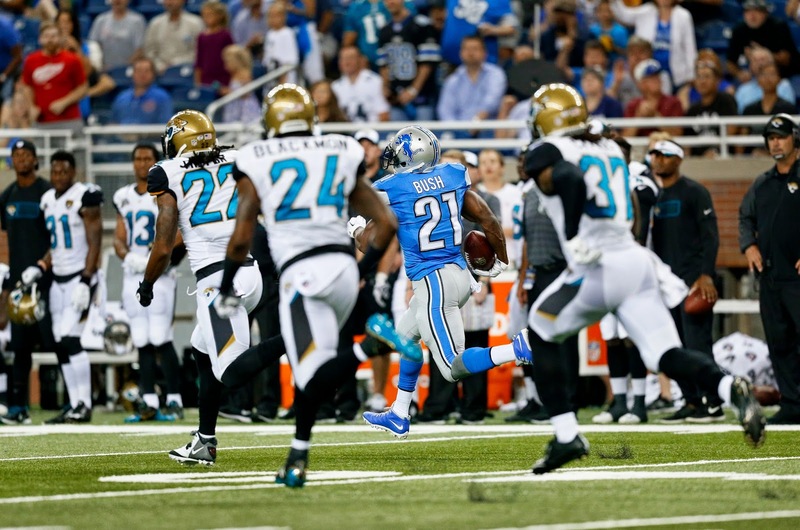 Running back Reggie Bush has not lost a step even though he’s 29. On his 86-yard touchdown run he left several younger defensemen in his dust. He’s healthy and fresh — it shows. Two carries, 95 yards — not a bad night's work. 3. Defensive end George Johnson was credited with one sack, a tackle for a loss and a pair of quarterback hits. Always seemed to be in the middle of trouble for the quarterback. 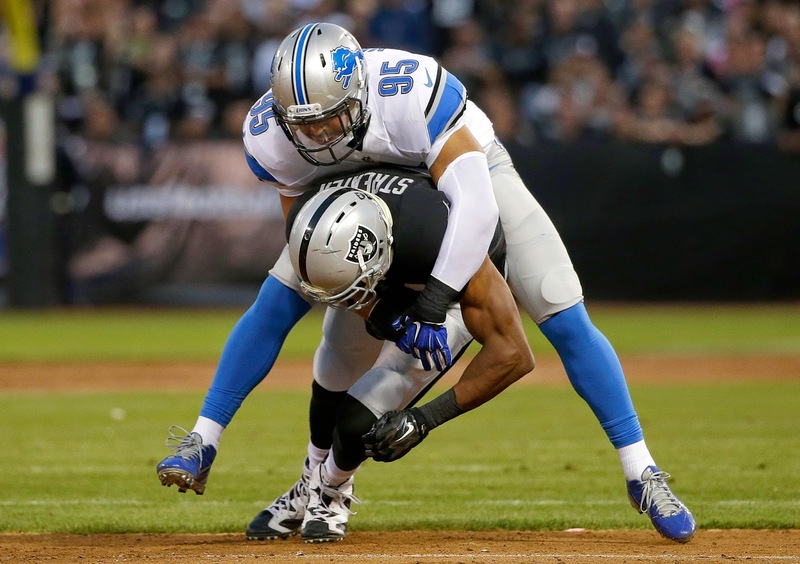 Lions have tough decisions to make at defensive end. Johnson made his case again on Friday night when he was on the field for 37 percent of the defensive snaps and 35 percent of special teams plays. 4. Wide receiver Ryan Broyles didn’t get into the game until late, but had three catches for a total of 44 yards in the drive that led to the one-yard touchdown run by George Winn. Broyles makes the difficult catch and then keeps going. Surprised he wasn’t involved in the game earlier. 5. Quarterback Matthew Stafford got off to a bit of a slow start, even Caldwell admitted that after the game. But then he went 9-for-9. We didn’t see all he could do in the passing game (it seems they were more focused on the run game), but Stafford seemed to make good decisions once he got rolling. Bush said when they went to the line on the play he ran 86 yards for the touchdown, Stafford had two options. Bush said he checked down to the best option (both plays were for Bush) which is why Bush was able to fly downfield. Defensive end Ziggy Ansah is active, but Devin Taylor will get the start. This would be Ansah’s first preseason appearance. Other inactives include rookie linebacker Kyle Van Noy who has an abdominal injury and wide receiver TJ Jones who is still on the physically unable to perform list. Isa Abdul-Quddus will start for Ihedigbo. Linebacker Tahir Whitehead will start for Ashlee Palmer who is active. Corey Hilliard will again start at right tackle. 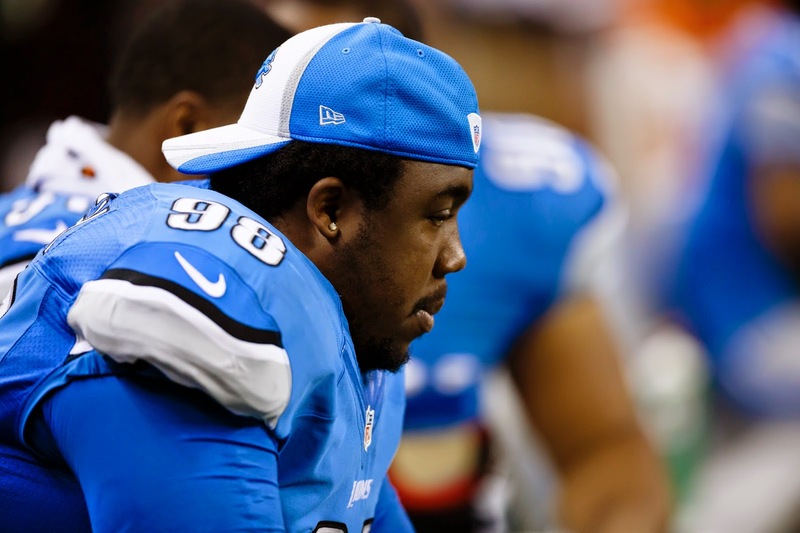 Defensive tackle Nick Fairley will back up C.J. Mosley. If you missed today's chat on the Lions as they prepare for their third preseason game, check out the transcript here. Lots of good questions focusing on roster decisions. There will be some tough ones to make when the final cuts are due Aug. 30. Join me at noon, Thursday, Aug. 28 for the next chat. 1. Nick Fairley is still not a starter, according to Caldwell. He’ll practice with second team today. That could change by Friday’s preseason game against the Jaguars. 2. 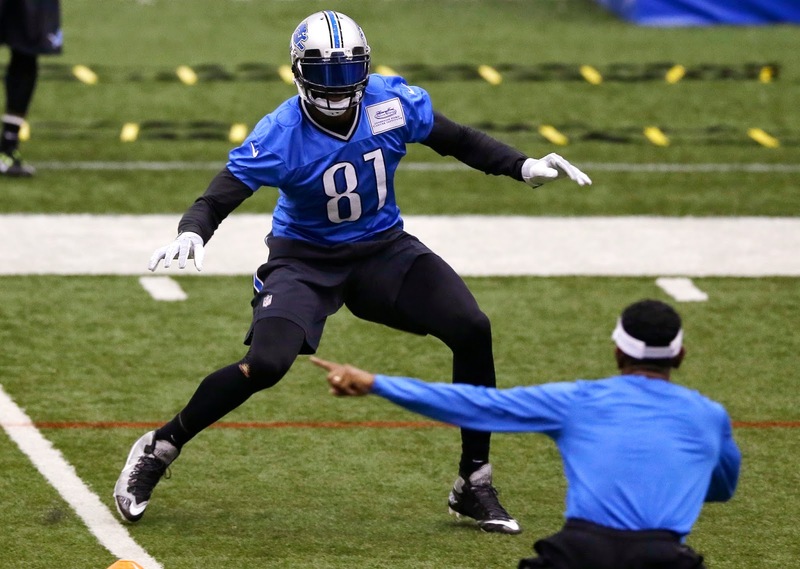 Calvin Johnson will see first preseason action on Friday as confirmed by Caldwell. 3. This is the first week the team is going through a typical regular season week of preparation. As much as possible. 4. Caldwell does not expect the officials to be more lenient on the new holding calls when the regular season starts. The Lions had 11 penalties on Friday which was too much for his liking. In comparison, the Saints had 22. 5. “There’s a couple things you can fight in life rules and laws are not one of them,’’ Rashean Mathis said. He says they’ll adjust. He knows the NFL is “offensive friendly” so they’ll deal with it. After the Lions’ second preseason game — a 27-26 loss to the Oakland Raiders late Friday night — one thing has become clear, this team is going to have some tough decisions to make for at least three positions. It’s a good problem to have, but they have to make the right decisions. 1. 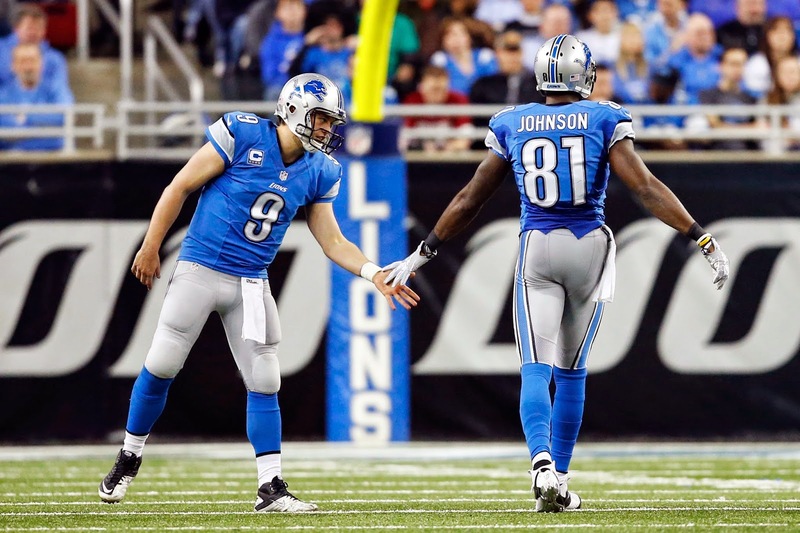 Wide receiver — Calvin Johnson, Golden Tate and Jeremy Ross (return specialist) are locks. That likely leaves two openings. The top candidates are Ryan Broyles, Kris Durham, Kevin Ogletree and Corey Fuller. That is going to be tough. These guys have to flash in the next two preseason games. Can’t imagine they’ll keep more than five with tight end Eric Ebron available. 2. Running backs — Reggie Bush and Joique Bell are 1A and 1B. They’ll also keep a fullback probably either Montell Owens or Jed Collins, maybe both. Where does that leave Mikel Leshoure, George Winn and Theo Riddick? Again, tough decisions. Not sure how many they will keep, last year it was five. Winn (in photo) is sneaking up the depth chart and had a second good game on Friday night. 3. Kicker — This is a huge decision. Giorgio Tavecchio and rookie Nate Freese have had a tight race. Again, the next two preseason games will be key. Freese won’t necessarily have an edge because he’s a draft pick (seventh-round). Both are 24 and arrived in Detroit by varying routes. 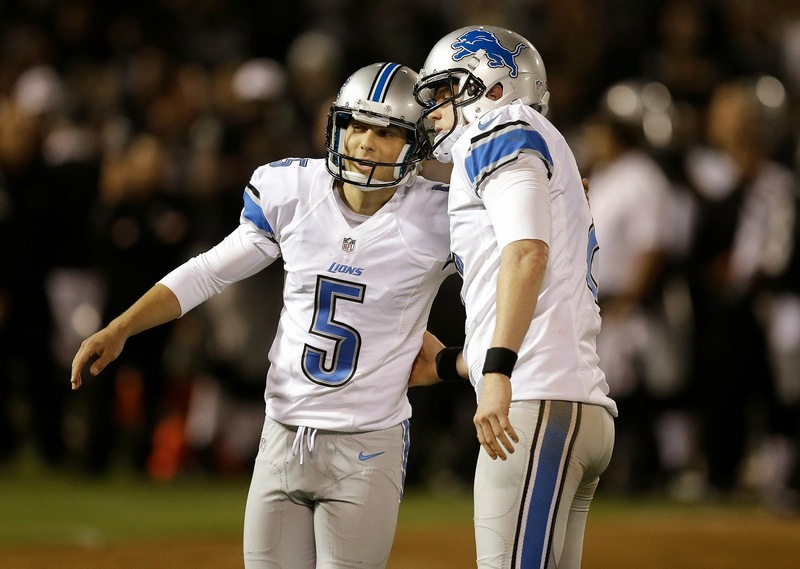 Freese helped his cause with a 55-yard field goal at Oakland on Friday night. Tavecchio nailed a 25-yarder late in the game. The Lions practiced at 8:30 p.m. on Tuesday in part to get them ready for the 10 p.m. kickoff tonight at the Oakland Raiders. Question is: Are you ready? 1. Nick Fairley practiced with the twos all week after he started and played in a dozen snaps in the preseason opener on Saturday. Fairley has gained back the weight he lost, he looks to be in a funk. A good game could give him a boost. He’s still listed as the starter on the depth chart, but wouldn’t be surprised to see C.J. Mosley start. 2. 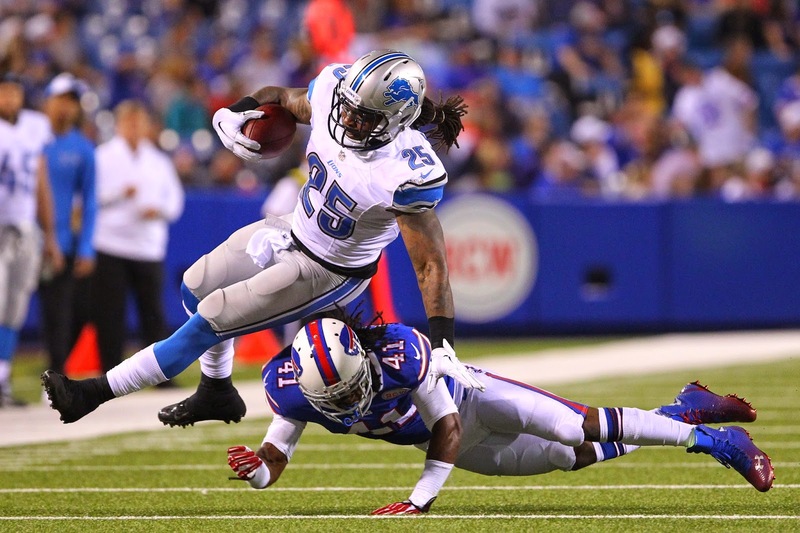 Cornerbacks likely to start are Rashean Mathis and Darius Slay. Bill Bentley could fill the nickel role again this year. Then there are question marks with Chris Greenwood and Jonte Green. Rookie Nevin Lawson could be in the mix, but it’s tough. Tonight play a big role in the decision. 3. 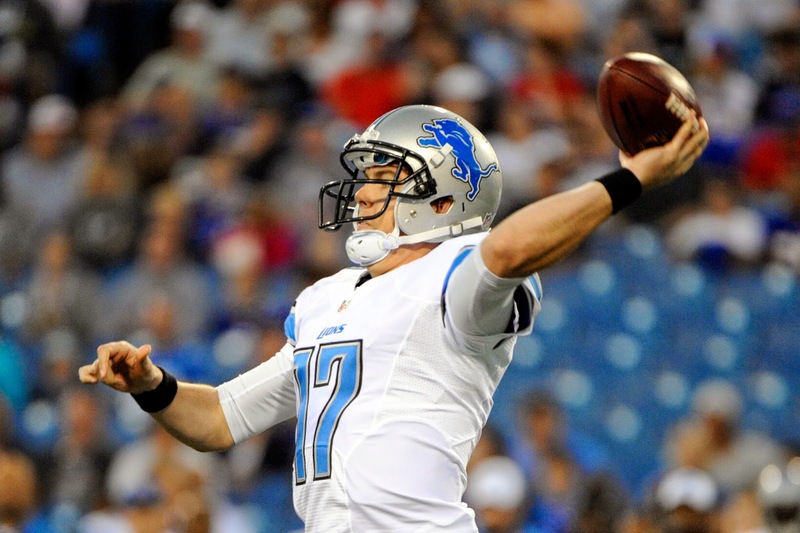 Quarterback Dan Orlovsky needs a better game than he had in the win over the Cleveland Browns. He should get plenty of snaps. 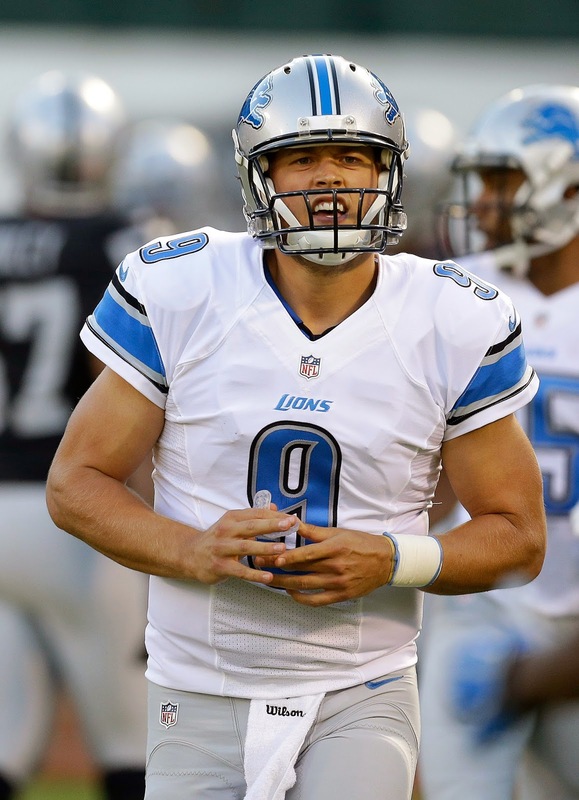 Don’t expect Matthew Stafford to play much more than the one series he did last week. 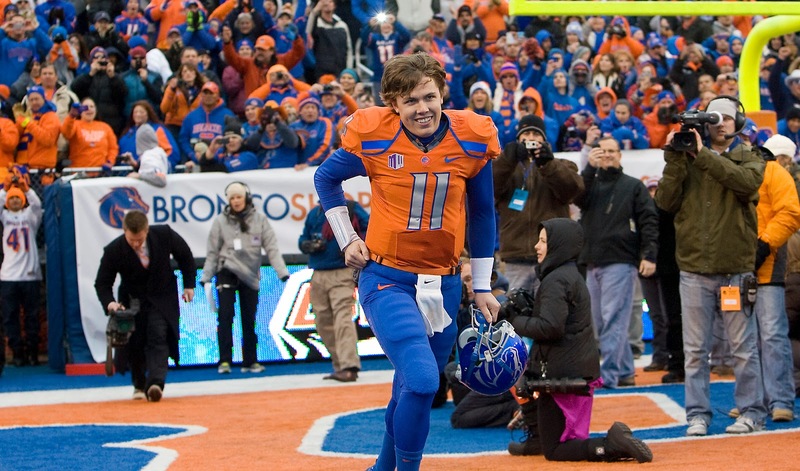 Kellen Moore had a good game on Saturday, threw the only touchdown. Moore typically plays well in preseason games. 4. Rookie Kyle Van Noy got plenty of playing time in the first preseason game and played well. He needs to keep that up. He’s still second on the depth chart to Ashlee Palmer. 5. Kickers Giorgio Tavecchio and Nate Freese need to perform well. The competition is still too close to call. For kickers game-time pressure plays a big role, even in the preseason.